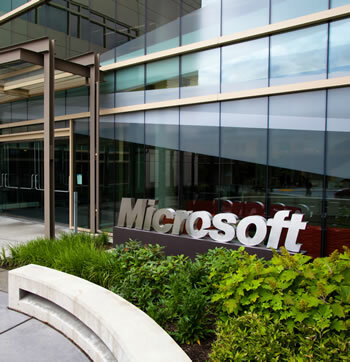 Microsoft has launched a legal assault against Motorola for requesting unfair patent royalties involving video streaming. Filed with the European Commission, the complaint alleges that Motorola has broken a promise to license patents on industry-standard technologies in a "fair, reasonable and non-discriminatory" (FRAND) way, but Microsoft says there's nothing FRANDly about Motorola's demands. "You probably take for granted that you can view videos on your smartphone, tablet, PC, or DVD/Blu-ray player and connect to the Internet without being tied to a cable," Microsoft wrote. The company said that these features are possible through technical standards and the "promises" made by participating companies to license their related patents on reasonable terms. Motorola violated this oath. "Motorola is demanding that Microsoft take its products off the market, or else remove their standards-based ability to play video and connect wirelessly. The only basis for these actions is that these products implement industry standards, on which Motorola claims patents. Yet when the industry adopted these standards, we all were counting on Motorola and every contributor to live up to their promises." To use 50 of Motorola's patents, Microsoft would have to pay 2.25% against the final price of products that use H.264 -- or $22.50 for a $1,000 laptop. What's more, that rate supposedly scales unfairly. For instance, a $2,000 laptop would cost Microsoft $45, even though the improved specifications (a larger hard drive, more memory, a titanium chassis and so on) bear no relevance to the patents in question. By comparison, to use H.264, Microsoft also has to license 2,300 more patents from 29 other firms. The software giant pays this group two cents to use their technology on a $1,000 laptop (it's noted that Windows qualifies for a volume discount, but nobody pays more than $0.20 per unit). "Motorola is demanding that Microsoft pay more than 1,000 times that for use of just 50 patents," Redmond wrote. "Imagine if every firm acted like Motorola. Windows implements more than 60 standards, and a PC supports about 200. If every firm priced its standard essential patents like Motorola, the cost of the patents would be greater than all the other costs combined in making PCs, tablets, smartphones and other devices. Obviously, this would greatly increase the prices of these devices for consumers." Having recently purchased Motorola for $12.5 billion, Microsoft asked Google to rectify the matter, but the search giant isn't playing nice, apparently. Microsoft hasn't made it clear what it believes would be a fair rate and considering its reputation for being a bully, the company's plea for sympathy may not go as planned. A similar patent licensing feud is ongoing between Motorola and Apple in Germany.